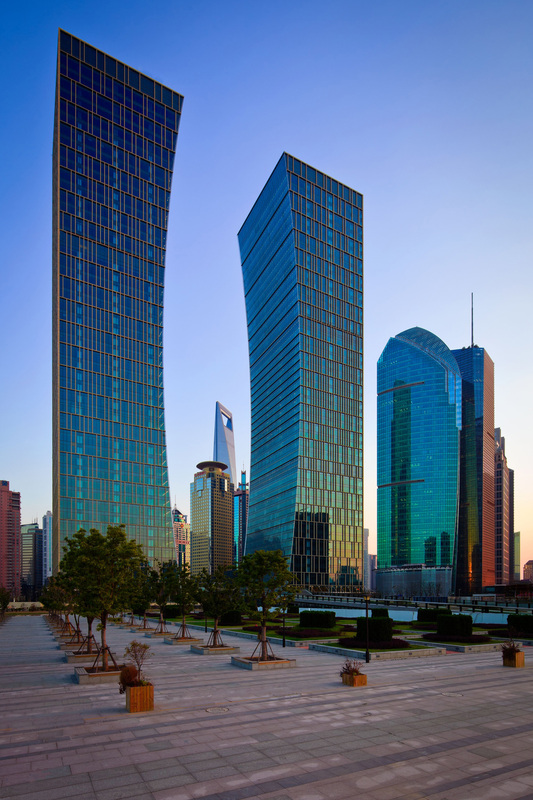 AE Interests: 708 feet tall (216 meters), both towers feature curved facades. Serves as headquarters for two separate banks, so symmetry and order was needed in the design. Inner curves are lit at night to emphasize shape and scale. Features a removable slab to accommodate needs of the tenant. Utilizes high performance Low-E glass with solar control coating. All facade materials are recyclable. 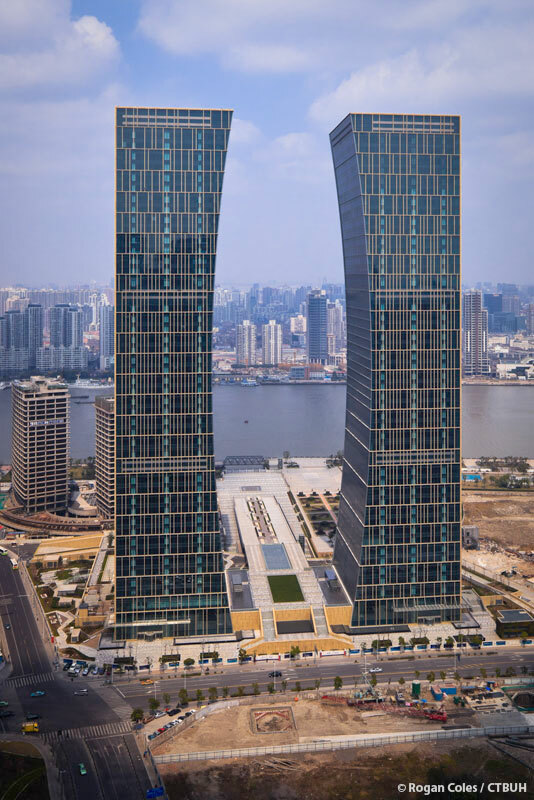 Concrete frame system, inclined columns in curved sections, uses steel-reinforced columns in lower sections of the tower to minimize column size and maximize floor space. Located in historical shipyard site, the shape of the towers forms a gateway towards the river in the shape of a ship’s hull.